Brazilian superstar Neymar is set to return to action having served his suspension. He featured in Barcelona’s 3-0 rout of Espanyol and he is poised to do more as Barcelona make the last push for the La Liga title this term. After their El Clasico surprise victory, Barcelona need Real to slip just once so they can retain the domestic league in which they have dominated far longer than their competitors in recent years. On a personal level, Neymar may not have been as impressive this season. He has netted just nine times this season in the local league unlike Lionel Messi who has scored 33 goals and Suarez who has a total of 26. With just three league games left, the sterling forward is yet to reach double figures – something many would expect. In his last two years in Spain, Neymar has surpassed 20 goals in the La Liga. However, the star seem to have taken the high road as he has been more selfless. Looking at his figures as a whole – and not just the goals and assists as usual – Neymar has created the most chances in the La Liga. The left winger has been instrumental in creating chances for the whole team. He has had the most successful dribbles in the league and is second to Suarez in number of assists to his attacking pair. While the Uruguayan has eight, he has helped Golaccio with seven. In addition, Neymar’s tackles exceeds that of Messi and Suarez. In the absence of Messi, Neymar has risen to the occasion many times. 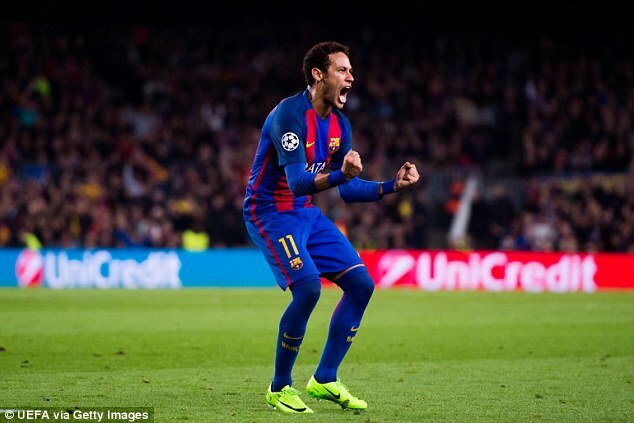 While his personal mainstream tallies might be taking a beating, Neymar has actually being more of a brilliant soccer team player this season.